Professor Julio Bermudez directs the Cultural Studies and Sacred Space graduate concentration program. He holds a Master of Architecture and a Ph.D. in Education degrees from the University of Minnesota. 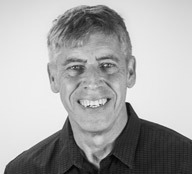 He has been teaching architectural design, communication, and theory for nearly 30 years. Dr. Bermudez’s teaching and research are focused in architectural phenomenology, the development of voluntary architectural simplicity (VAS), and the relationship between architecture, culture and spirituality. He has lectured, led symposia, and published articles in these areas nationally and internationally. Current projects include a fMRI study of architecturally induced contemplative states and work on a book manuscript on the architectural extraordinary. 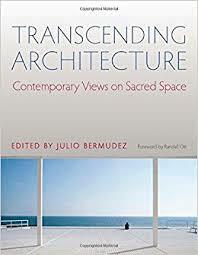 He has published two books: "Transcending Architecture. Contemporary Views on Sacred Space” (CUA Press, 2015) and "Architecture, Culture and Spirituality" (Ashgate, UK, 2015, co-edited with Thomas Barrie and Phillip Tabb). Prior to this work, Professor Bermudez efforts unfolded around two areas: (1) the pedagogic investigation of design process and digital media, and (2) the application of architectural concepts and methods to the interdisciplinary design of data environments. The result of this work included the analog-digital design method and theory (influencing many teachers and researchers worldwide), a successful information visualization research across multiple domains (attracting nearly $5M in funding), and a very extensive number of lectures, workshops, and publications both in the U.S. and abroad. Dr. Bermudez has received several national and international recognitions including the 1998 AIA Education Honors Award, the 2004-05 ACSA Creative Achievement Award, the 2005 Arturo Montagu Creative Career Prize bestowed by SiGraDi (Latin American organization), the 2006 ACADIA Award for Teaching Excellence, and the 2010 Sasada Award for his sustained and significant international record of scholarship and service (conferred by CAADRIA, Asia). In 2007, Dr. Bermudez co-founded the Architecture, Culture and Spirituality Forum, a 400+ members (from 48 countries) organization, that he continues to co-direct until now. Barrie, Thomas; Bermudez, Julio; and Tabb, Philip (eds.). Architecture, Culture, and Spirituality. Routledge, 2015. Bermudez, Julio (ed.). Transcending Architecture. Contemporary Views on Sacred Space, CUA Press, 2015.